No one embodies the full-circle success of the Permian Basin, nor the spirit of the American wildcatter, more than Ben M. “Bud” Brigham. From humble beginnings exploring conventional targets in the Permian Basin with 3-D seismic and $25,000 in initial investment capital, Brigham subsequently built world-class positions in unconventional plays–first in the Williston, and then the Permian–and closed separate billion-dollar transactions in both basins. After reaching the pinnacle of success playing the role of the independent oilman, Brigham now is recasting himself as the “independent sandman,” helping the companies that not long ago were his peers satisfy their insatiable appetites for quality frac sands in Brigham’s familiar old stomping grounds in West Texas. According to IHS Markit, Delaware and Midland basin operators put away 50 billion pounds of proppant in 2017, quadrupling 2014’s total. By 2022, forecasts call for annual Permian proppant consumption to quadruple again to 120 billion pounds–enough sand to fill 2.5 million hopper trailers to the brim. So within months of selling Brigham Resources and its Delaware Basin leasehold in December 2016 for an aggregate $2.43 billion, the consummate oilman re-entered the Permian scene, but this time eyeing vast reserves of another kind: natural sand deposits. “The play made perfect sense to us from both a geological and an entrepreneurial perspective, which gave us the confidence to move quickly,” he states. Atlas Sand now controls about nine sections (60 percent) of the Kermit dune to the north and 100 percent of the 14 sections over the Monahans dune to the south, excluding a local state park. In addition to this approximately 14,500 acres, Atlas holds another 23,500 acres of off-dune buried sand in the region, the largest sand reserves in the Permian. The company is on track to open two in-basin mines in 2018, bringing on an estimated 7.8 million tons annually of its Atlas Pure Permian™ sand. The company plans to increase capacity to at least 14 million tons by the end of 2019 and could double that by 2020-21. Brigham says they control an estimated 100 years’ worth of what Atlas terms “tier-one” sand reserves. Hunter Wallace, former vice president of operations for ATX Energy Partners (the private equity-backed successor company to Brigham Resources), joined Atlas as chief operating officer early on. “Seeing Brigham’s vision and knowing that he was going to capitalize it the right way and run it the right way made the potential too much to pass up,” he concludes. Over the first six months of the project, Brigham says they learned that the deposit is quite consistent both spatially and in-depth in the open dunes. He attributes that to the topography and prevailing wind direction. The sand in the fairway is sourced from the north and northwest. An escarpment to the east slows wind velocity, causing sand particles to fall out that are perfectly sized for fracturing, Brigham details. With proppant consumption increasing dramatically across West Texas, Atlas Sand is opening two new mines this year to provide an initial 7.8 million tons of tier-one “dune” sand production annually, with plans in place to expand capacity to at least 14 million tons a year by the end of 2019. As shown here, the mines are located near Kermit and Monahans on the Central Platform, with ready access to high-proppant-intensity wells in both the Midland and Delaware sub-basins. “It is ironic, and quite a blessing, that this has happened to occur right here in the Permian Basin as local demand for frac sand hits record highs,” he notes. Brigham says Atlas Sand’s two sand plants are optimally designed to serve the basin. Both are built for Texas weather, with built-in redundancies and backup systems. Both are expected to initially produce 3.9 million tons annually, and have a combined 70,000 tons of silo storage. Each silo has its own loading lane for streamlined load-out. “We doubled down, because we know firsthand the value of reliability and flexibility,” says Brigham. Access to both basins also is of high value to pressure pumpers, who do not know exactly where in the vast Permian Basin their fleets may be a few months into the future. “Having a good northern access point and a good southern access point makes us very attractive,” Wallace remarks. “The fact that this sand is right next door to the wellheads really de-risks the supply chain for operators by a vast margin,” continues Wallace. In addition, the simplified logistics of in-basin supplies provide immediate cost savings. As Wallace points out, transporting sands from sources over longer distances involves more infrastructure, more logistics and more cost per delivered ton. He predicts that cheaper and more reliably delivered sand will drive up well performance by enabling operators to further ratchet up sand concentrations placed per lateral foot. Brigham notes that Atlas Pure Permian sand is closer in color and quality to northern white mined in the Upper Midwest than the traditional Brady brown sand sourced in Texas. By nature, Pure Permian sands have good sphericity and low impurities, providing higher yield and lower cost, he adds, noting that the combination of quality and proximity can shave 5 percent or more off total well costs. Overall, Brigham says the sand’s quality matches what operators are accustomed to using in the basin. Roughly 80 percent of the deposit is 100-mesh, and considered by the Atlas team to be comparable to northern white. The rest is 40/70-mesh and graded above Brady-quality brown. The 40/70-mesh is 1-2 K values lower in crush resistance than northern white, according to Brigham, which he says is a level sufficient for virtually 100 percent of West Texas wells. Testing on sands sourced from the Kermit area is yielding positive reports on well performance from operators. Wallace also notes that production can be switched to 100 percent 100-mesh, depending on market demand. Hi-Crush has opened the industry’s first in-basin mine in the Permian, producing 100-mesh sand at its new facility near Kermit. Laura Fulton, the company’s chief financial officer, says the mine has an annual production capacity of 3 million tons with 15,000 tons of silo storage. The sand is coarser than Hi-Crush’s northern white sands, but meets all API specifications, she says. The company operates multiple transload terminals for northern white sand from its Upper Midwest mines, with a site near Pecos in the southern Delaware Basin and terminals at Odessa and Big Spring in the Midland Basin. Generally, Fulton says, Hi-Crush can supply 80 percent of the wells within a 50-mile radius from the three terminals and the new Kermit plant. Hi-Crush has opened the industry’s first in-basin mine in the Permian with its new facility near Kermit, which has annual production capacity of 3 million tons and 15,000 tons of on-site storage. The company also operates multiple transload terminals in both the Delaware and Midland basins. Hi-Crush’s PropStream™ integrated supply chain solution uses proprietary containers and an on-site conveyor system called PropBeast™ to optimize logistics from the mine site or transload terminal to the blender hopper. Fulton says Hi-Crush is taking the concept of “last-mile logistics” one step farther to alleviate costs, personnel workloads and logistical headaches for operators. “We are focused on logistics to the last foot,” she explains. “We sell directly to operators and deliver the sand all the way to the blender at the well site, handling all the logistics along the way,” she states. The goal is to provide end-to-end supply to give operators surety of quality and availability as they pump ever-larger volumes of sand in their wells while significantly simplifying logistics. However, added benefits include the fact that the system meets the new U.S. Occupational Safety & Health Administration respirable silica dust exposure requirements, and also significantly reduces well site noise levels, according to Fulton. “Dust exposures tested below the new OSHA permissible exposure levels, and below the lower action level for PropBeast operators,” she notes. Trucking capacity has been tight in the Permian for some time, and trucking costs have been on the rise as expanding proppant demand has created shortages of both trucks and drivers, Fulton states. Putting sand as close to the well as possible helps reduce trucking miles and costs, she notes. The end game for operators in horizontal resource plays is simple: Maximize the stimulated reservoir volume and keep induced fractures propped open so hydrocarbons keep flowing. Accomplishing those objectives, says Don Conkle, vice president of marketing and sales at CARBO, is leading the industry to pump more proppant per well. According to Conkle, CARBO sold nearly 400 million pounds of premium ceramics/technology proppants and 2.2 billion pounds of natural and resin-coated sand products in 2017. He says demand for northern white sand is expected to remain strong in shale plays, particularly for 40/70- and 100-mesh. While advancements have been made in reducing logistical costs and increasing supply flexibility, Conkle says most operators recognize that there is still more efficiency and productivity to be gained to maximize operator and shareholder returns. “I ask operators what inning they think they are in and they agree that the game is far from decided,” he relates. Layering in high-strength, lightweight ceramic proppants with natural sand has improved well performance in the Eagle Ford Shale. As illustrated here, 12 wells in which CARBO’s CARBOAIR™ ceramic proppant was tailed in with sand outperformed 12 offset wells completed with only sand. The lighter weight of the ceramic proppant allows it to carry deeper into the fractures, and its superior strength and crush resistance prevent fractures from closing over time as wells produce. Continuing the baseball analogy, Conkle says diagnostics and analytics technologies will be the next game changers to help operators better understand where proppant is going and how effectively reservoirs are being fractured to enhance productivity and efficiency. “For a hitter, how he contacts the ball can be the difference between a foul ball and a homerun,” he says. “The same is true for reservoirs. It is all about contact and the permeability of the proppant pack. Shale wells characteristically decline rapidly, and as production falls off and flowing pressure declines, the frac begins closing on the proppant with increasing pressure. A study in the Eagle Ford compared productivity curves in 24 wells, half of them propped with sand and the other with sand and higher-strength ceramics tailed in, Conkle details. In Utica dry gas wells, companies are starting to blend sand and CARBO’s KRYPTOSPHERE® ceramic, starting with 100-mesh sand and progressing to 40/70-mesh ceramic, 30/50-mesh ceramic, and finally tailing in 35-mesh KRYPTOSPHERE. “CNX Resources Corp. and several other operators have reported completing several wells in this manner with very strong results," Conkle remarks. Conkle points to a well-documented challenge in proppant placement, noting that analysis shows that sand often ends up falling out of the fluid stream a short distance into the created fracture. “Beyond that point, the fracture is left unpropped, and eventually closes. Layering sand and an ultralow-density ceramic proppant such as CARBOAIR® is an effective way to address this ‘duning’ problem and obtain longer/higher propped fractures (especially farther from the wellbore). For diagnostics, CARBONRT® nonradioactive tracer helps operators pinpoint where proppant is located, assessing proppant entry points along a lateral in a horizontal well and propped fracture height in vertical wells. Conkle says the tracer is distributed throughout each proppant grain, allowing for the most accurate method to identify proppant location. By year’s end, Conkle announces, CARBO plans to launch a new type of diagnostic service that uses a proprietary detectable proppant and electromagnetic detection technique to shed new light on proppant location within the reservoir–including in the far-field area away from the wellbore. Billy Ray Smith, US Silica’s senior vice president and president of oil and gas proppants, says the company is opening two new mines in the Permian during the first half of 2018. Its Crane County facility, which is expected to be on line by the end of March, has a capacity of 4 million tons a year. The Lamesa plant is scheduled to come on line in the second quarter with 2.6 million tons of annual production capacity. Both mines have production contracts in place. The company also is expanding three other facilities in Texas and Oklahoma, which effectively will double overall regional capacity within eight months, Smith reports. Smith notes that both new plants have been built using a simplified plug-and-play design, enabling quick expansions or upgrades as needed. For example, he points out, a proppant coating facility could be easily added. “We took a SWAT approach to these projects, grabbing people from all over the organization to make these mines happen in record time,” he says. Smith says he expects operators will continue to use a mix of sands sourced from different areas, including both regional sands and northern white. “Nobody knows yet how the new in-basin sands ultimately will impact production, but we are confident in the quality of our in-basin supplies,” he relates. To fully serve Permian operators and augment supplies of in-basin and northern white, Smith adds that US Silica has the capability to provide brown sands from expanded facilities at its Texas mines at Kosse and Tyler, as well as Mill Creek in Oklahoma. Flexibility is the key. With today’s oil prices, plays are economic in every U.S. oil shale basin and sand demand is high. “With the scale of our nationwide footprint and the diversity of our supplies, we are positioned to react to operator demand for multiple sands from multiple locations in multiple regions,” he assures. Regardless of how many tons of proppant are sent down hole, a stimulation treatment will be effective only if the sand props open fractures throughout the reservoir, Smith points out. US Silica estimates that only 15-20 percent of fractures in a typical frac job are large enough to take 100-mesh sand, based on an analysis of fracture networks performed over the past 12-18 months. As a result, 75-80 percent of the fracture network is not stimulated. To address this problem, US Silica has developed a new line of “microproppants” that are 200-mesh or smaller. Field tested by an operator in the Marcellus Shale, the microproppants can be carried farther into fracture networks and into previously unpropped fractures. Sand quality is a function of original sand properties and the processes it goes through from the mine to well site, points out Scotti Bayman, HS&E and quality director at Shale Support. He says strict quality control processes improve efficiency and reduce waste, while providing a strong audit trail and product reliability. “With our QC protocols, there is no question that our customers get exactly what they ordered every time,” he says. By implementing state-of-the-art quality control processes, Shale Support is improving efficiency and safety, lowering costs, assuring reliability and providing a strong audit trail. Extensive testing protocols at the company’s Delta Pearl™ mine and process plants in Mississippi are augmented by detailed tracking and quality monitoring procedures that include scannable quick response codes and bar codes on every rail car or truck with identifying information such as car number, weight, sieve data and destination. Shale Support’s Delta Pearl™ is a clean white sand mined in Mississippi. Cut to order, the sand is typically sold in meshes ranging from 20 to 100. With low turbidity, the sand generates less dust and is ideal for stress-pressure conditions, Bayman reports. 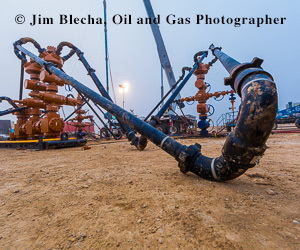 Delta Pearl made its entry in the Permian Basin in July 2014, and he says Shale Support now has four Permian terminals as well as terminals in other basins in Texas and the Appalachian Basin. Another test is run as sand is loaded from silos into rail cars or trucks for delivery. “We are meticulous in tracking product as it travels to termination points,” Bayman states, noting that the company has developed a process that ties logistics and quality together. As rail cars and trucks enter the yard, they are inspected and entered into a tracking system. Each hopper car or truck is assigned a product grade/mesh size. As sand is loaded, a sample is pulled and tested (a composite sample is saved for each order). If there is a mismatch at any point between the sample and the assigned grade, the system automatically stops the load-out. “We work hard to prevent common loading process errors by building in this kind of automated fail-safe feature,” explains Bayman. Once a rail car or truck is loaded, it moves on to a “scale-in-motion” weighing station and the data are captured in the tracking system. Finally, Bayman says a destination is assigned. Rail seals and retainer labels–complete with quick response codes and bar codes–are printed and placed on every rail car or truck. “The QR and bar codes are quickly and easily scanned for identifying information, including car number, weight, sieve data and destination,” he explains. Bayman says Shale Support expects to continue expanding its operational footprint. It recently added barging and is now constructing a 300-acre transload facility in the Permian Basin to provide additional flexibility for short-notice orders. “The quality process may seem burdensome, but it pays off in improved safety, lower process costs and customer satisfaction,” Bayman concludes. Superior Silica Sands LLC, a subsidiary of Emerge Energy Services, also is opening a new mine in Texas, but the company made the strategic decision to focus its attention on the Lone Star State’s other major shale basin: the Eagle Ford. “In the movement toward in-basin supply, we are taking the path less traveled,” says Rick Shearer, president and chief executive officer. Last year, the company acquired Osburn Materials’ mine south of San Antonio, within an 80-mile radius of core Eagle Ford activity and a seven-hour ride by rails to Midland. Already one of the largest northern white sand producers with five mines offering a combined annual capacity of 7.2 million tons, the San Antonio site expands Superior’s Texas footprint, adding to an existing “native brown” sand mine near Kosse, as well as regional transload and distribution facilities throughout West and South Texas. As with West Texas sand, the brown sand produced at San Antonio does not have the properties of high-purity quartz northern white, but it meets API specifications for all grades, according to Shearer. “Operator interest has been very strong. We expect to soon have all of the mine’s capacity contracted,” he reports. Even with Eagle Ford demand on the rise, Shearer says sand from the San Antonio plant will find its way into the Permian thanks to on-site rail access to the Union Pacific mainline, providing low transportation costs for the short haul northwest. “It may sound surprising, but modeling shows that sand from San Antonio can be delivered by rail into the Delaware Basin at a lower cost than sand trucked from some West Texas mines,” he reveals. Within the Permian, Superior Silica Sands has opened a new transload terminal near Big Lake–its sixth West Texas terminal. The 98-acre facility is on the Texas Pacifico Railroad with connections to major regional rail lines. The Big Lake terminal commenced operations last July, but Shearer says expansions are already under way. Shearer says hybrid designs that combine finer-mesh West Texas brown with northern white eventually will become common. “A growing number of operators are using 100-mesh and feathering in coarser 40/70 or even 30/50-mesh sands. The market always is fluctuating, but combinations of sand types and mesh sizes should materialize more and more, assuming the trend toward coarser mixes continues,” he suggests. The Permian represents 20 percent of Superior’s total frac sand deliveries, with 80 percent diversified among the Eagle Ford, SCOOP/STACK, Denver-Julesburg, Williston, Marcellus/Utica and Western Canadian basins, Shearer says. But demand is not all about horizontal wells. In South Texas, the company is completing a $3.2 million upgrade to double capacity at Kosse. “Drilling in the Eaglebine trend is picking up. But this is a backyard kind of play where we truck sand to local drilling rigs, including a number drilling more conventional vertical wells,” he remarks. With federal regulations taking effect to limit respirable silica dust exposure, Superior has what Shearer dubs the “ultimate answer” in the form of SandGuard™, a glycol-coated sand that reduces dust to below regulatory specifications. “We have sold unit trains to operators and they are delighted with how well it works. There literally is no dust from the time the coated sand leaves the plant in Wisconsin to the moment it is pumped down hole in a well halfway across the country,” he enthuses. In addition to improved productivity, Shearer says SandMaxx provides a number of other economic and operational advantages. For example, he points out that well applications to date have averaged 10 percent less water consumption and 15 percent less chemical usage. “The polymer coating acts as a lubricant, so it is not as abrasive as raw sand. That means it not only pumps very easily, but also reduces pump maintenance issues, which can save operators and frac fleet owners a lot of money,” he notes. Field trials have been completed in the Bakken, Western Canada, and South and West Texas. In a two-year trial in the Permian, Shell documented that the self-suspending technology not only enhanced proppant placement, but allowed 15 frac stages a day to be pumped compared with the typical eight stages a day for treatments using untreated sand. Shearer adds that another operator is now kicking off a new 10-well trial in the Permian. “With the industry recognizing the critical importance of proppant placement in optimizing frac treatments, we expect to see more demand for the technology in 2018 and beyond,” he concludes.